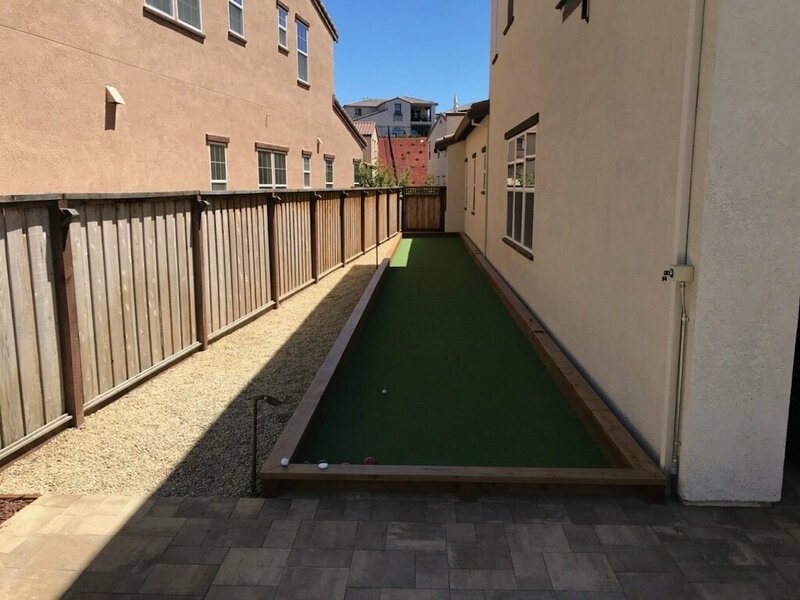 "My wife and I couldn’t be more pleased with our new back yard. 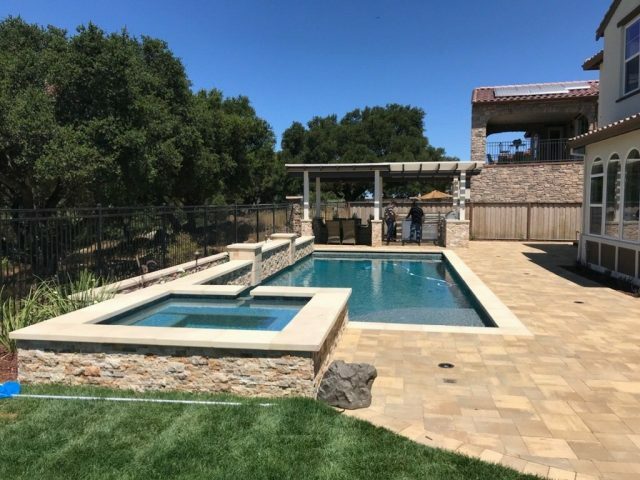 We hooked up with Mike from Forever Greens and his team, lead by Erik and Fernando to give our backyard a makeover and complement a pool we had going in. 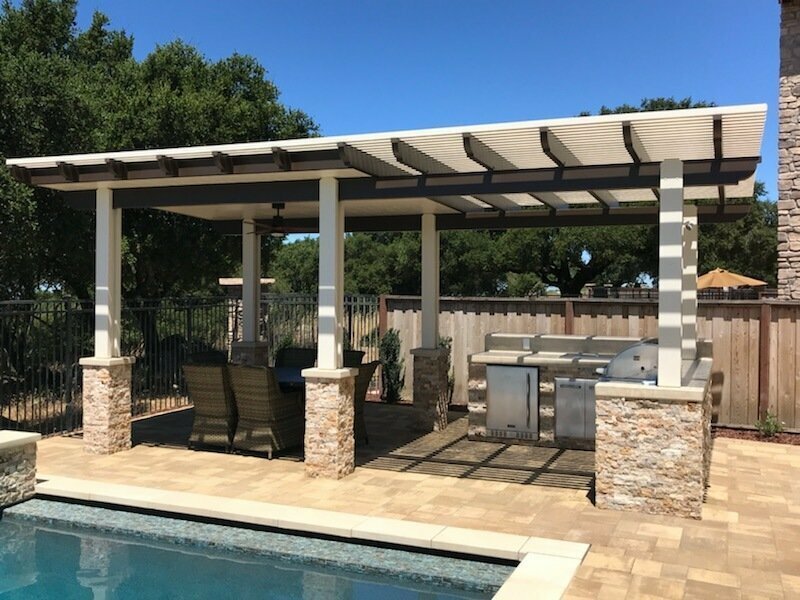 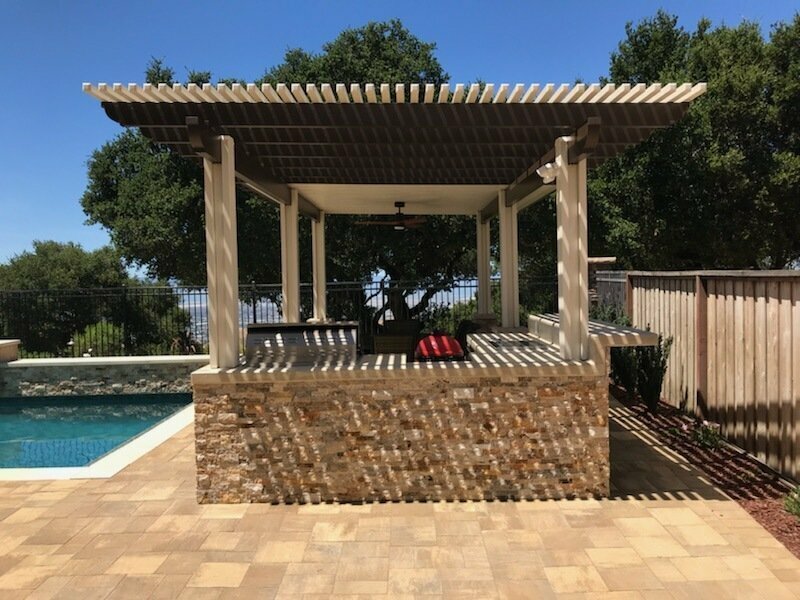 It was a pretty involved design that ...continued"
This installation features an Alumawood Patio Cover featuring a split roof. 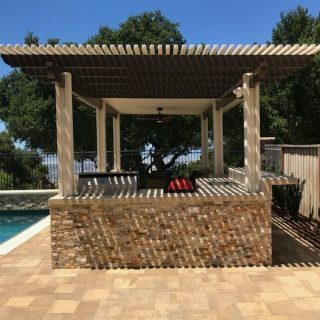 Lattice 13×11 and Solid Roof Combo 13×12 (attached to each other). 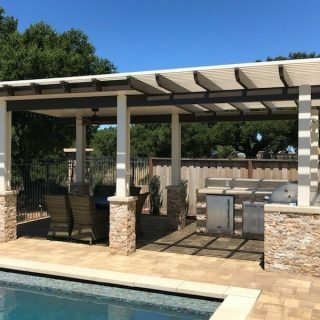 BBQ Island featuring a smoker, inset stainless steel charcoal grill, refrigerator, trash bin and storage drawers. 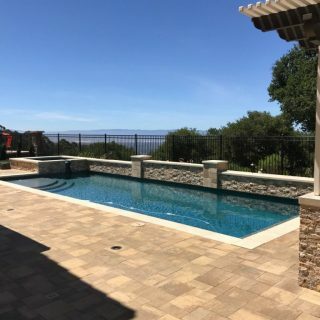 The counter is a Smooth Concrete Sandstone color with epoxy resin added for waterproofing. 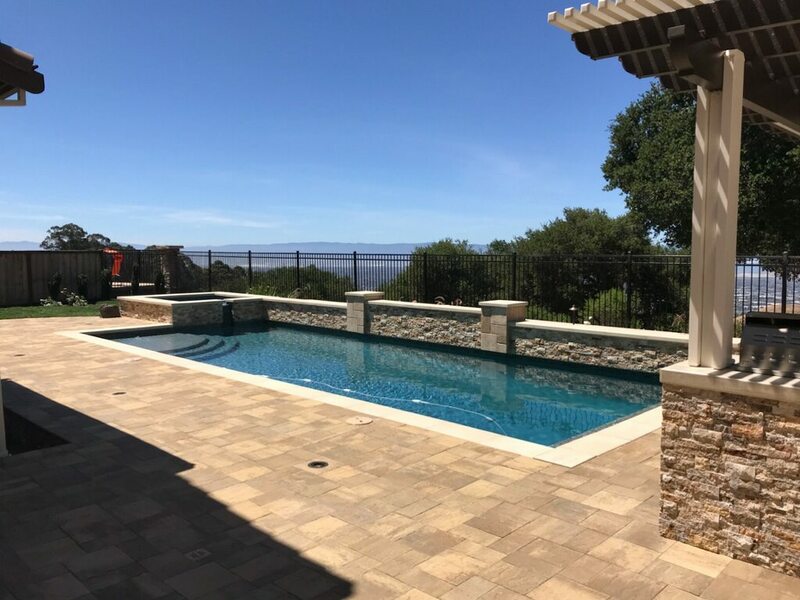 Patio Pavers surrounding the pool are Belgard Avalon Slate (montecito color) and set in a random pattern. Retaining Wall installed behind the pool features matching veneer stone with a planting area and irrigation installed. 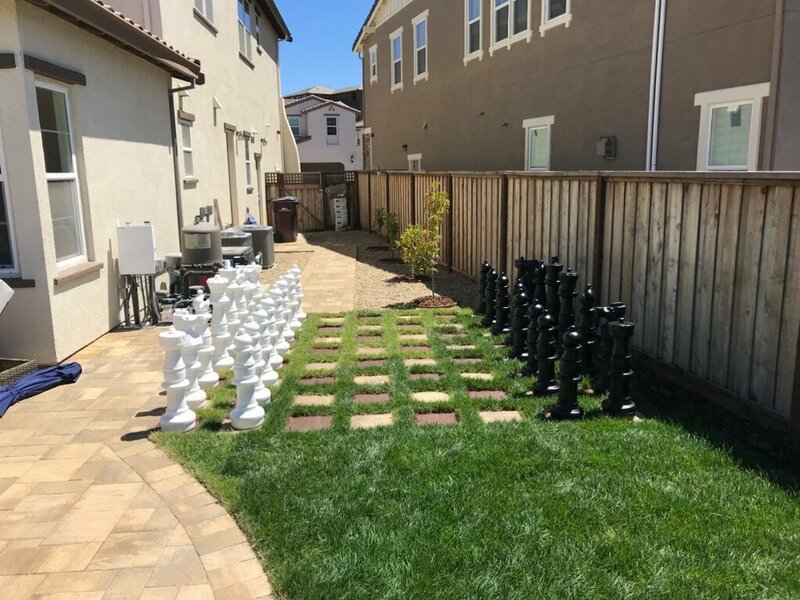 Chessboard is made out of pavers and natural grass. 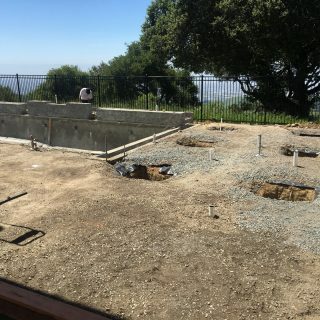 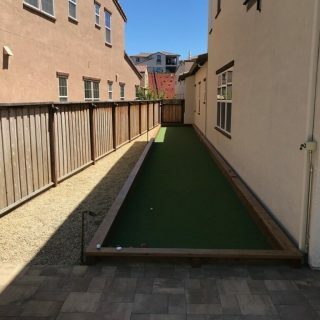 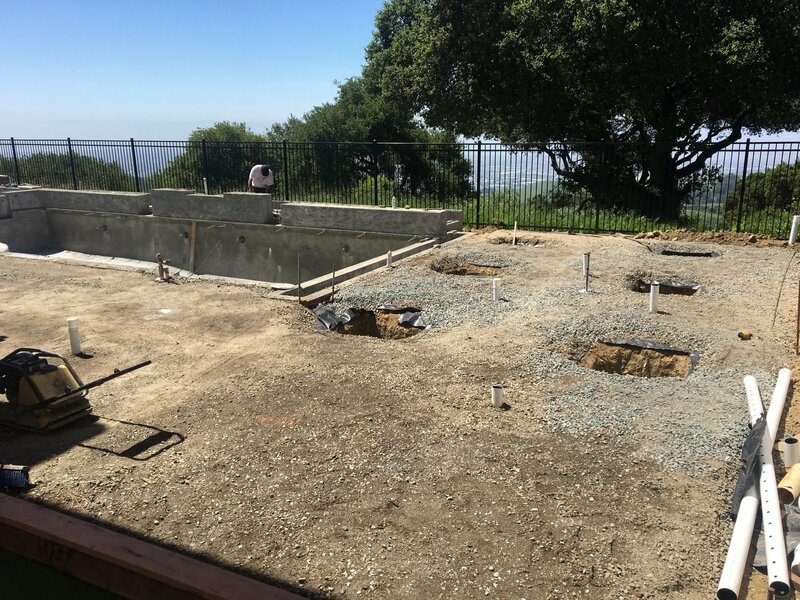 Bocce Court – 8’x65′ with turf surround by pressure treated wood and redwood boarder. 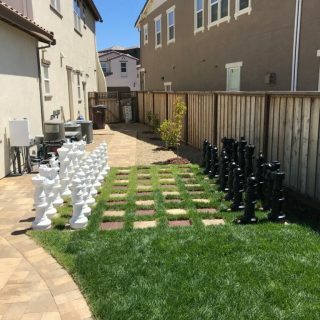 Lighting was added to fence post. 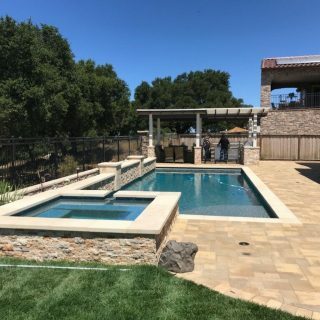 Lodi decorative rock was placed around court adding additional charm to this outside paradise.